"Excellent concert. Perfect setting, weather and atmosphere." Fantastic to have the Kaiser Chiefs here in Taunton. Both support bands were excellent too. "Great night out in Vivary park"
Great venue lovely weather and a stellar live act - what more could you ask for! Come back to Taunton soon. We had a great evening. We thought it was very well run. Formed in Leeds in 2000, Kaiser Chiefs produced a succession of classic album releases in ‘Employment’, ‘Yours Truly, Angry Mob’ and ‘Off With Their Heads’ establishing them as one of the leading bands of their generation. Fronted by the charismatic Ricky Wilson, their trademark indie rock sound delivered a string of anthemic hits such as ‘Oh My God’, ‘I Predict A Riot’, ‘Everyday I Love You Less And Less’, ‘Ruby’ and ‘Never Miss A Beat’. This success has ensured a number of headline festival slots and sell-out tours. As a follow up to 2014’s No 1 album ‘Education, Education, Education & War’ and the smash hit 2016 LP ‘Stay Together’, the group are currently working on their seventh studio album - ‘#KC7’. The beloved band have just announced shows at the iconic Nottingham venue Rock City on Wednesday 13th of February 2019. They are also planning a huge summer of shows which include dates at Elland Road in Leeds on Saturday 8th of June and East Links Arena at Montrose on Friday 16th of August 2019. Get your Kaiser Chiefs tickets through Gigantic before they are all gone. Offering great customer on a huge range of essential gig tickets, Gigantic should always be your first choice when making your booking for your big night out. We take away all the stress allowing you the freedom to enjoy your unforgettable experience. Plus, they play support alongside Eddie Vedder for original Mod legends The Who at their huge gig taking place at Wembley Stadium on Saturday 6th of July 2019. 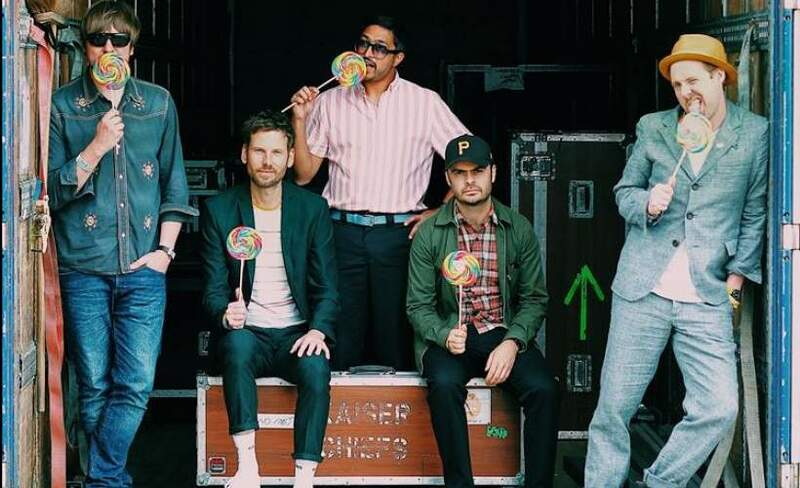 There are only limited amounts of Kaiser Chiefs concert tickets being put on sale by promoters which means you are going to have to act fast and ensure you get yours before they all are taken.